One broken pane. Salvaged French door with 10 glass panes painted white. 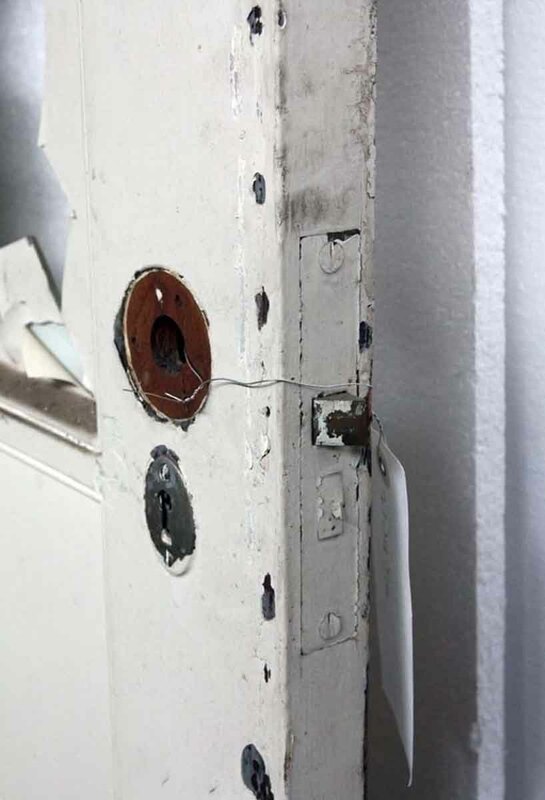 Original mortise lock still installed. 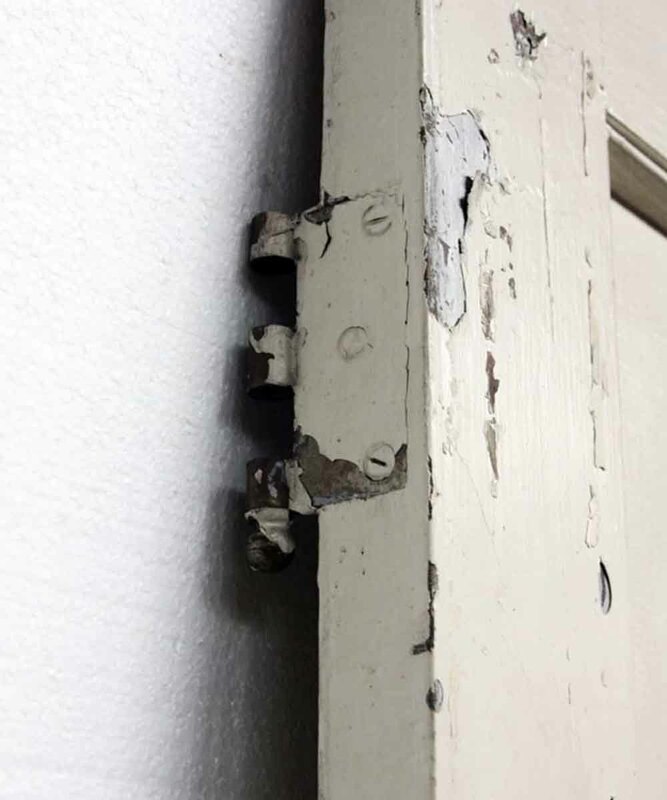 Ask about our large selection of antique door hardware that can be paired with this door.